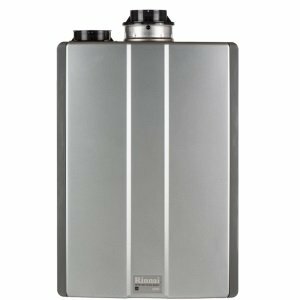 Explore the most common tankless water heater problems; causes, symptoms and troubleshooting tips. If you are the owner of a "smart" on-demand heater from Rinnai, Noritz, Paloma, Bosch, Takagi or any other manufacturer, this troubleshooting guide will help you. It deals with the most common problems with the error codes. One of the most frequent complaints I have seen in many reviews and forums, is: "I didn't get the hot water instantly." Usually, tankless water heaters do not provide hot water straight away, unless it uses the recirculation pump or the buffer tank. The time it takes to deliver hot water from the heater to the fixture depends on the pipe length between these two points. And that is the reason why some users will experience shorter or longer wait time for hot water to reach a fixture or a shower. This is not a "problem" so do not spend hours in trying to find the solution. Some of these problems are easy to fix, some are not. If you need a help simply get FREE quotes. No hot water is one of the most common tankless water heater problems. The first things you should check are the electric power, water, and gas supply to the water heater. Check the shut-off valves, as they might be in the closed position. Check the gas burner and does the flame rod generates the sparks. If not, check this article that deals with the ignition failure problem. See is there an error code on the unit's control panel, which blocks the heater from running before the previous problem has been solved and system reset. Is the minimum flow rate achieved? Make sure that the tap is open enough and there are no obstructions in the piping line. Are the unit elements or water pipes frozen? The temperature is set too high. Reduce the temperature to avoid the problem with the scalding hot water. If the water flow is reduced due to the obstructions in the water filter or plumbing, only the small amount of water will be heated. Clean the water passageways. Check is the showerhead or hot water tap clogged and reduce the flow of hot water. Clean the fixtures. If there is a sediment buildup, you should perform flushing and descaling. If the temperature sensor is broken, or it is not correctly positioned, try to either re-position it so it is firmly attached to the pipe or replace it with a new one. Check out the output temperature sensor, it might be broken. Water temperature is set too low. Increase the temperature to approximately 125-130 F.
Reduced the water flow when the water filter or fixture aerator are clogged. If there is a plumbing crossover, cold water is mixing with the hot water. One of the reasons for the plumbing crossover is if the single-lever mixing valve was installed, and it failed. Gas valve does not provide enough pressure; either due to the low gas pressure or if it is not open fully. Is the gas line sized correctly? Sediment and limescale build-up inside the heat exchanger. You might want to use the descaling procedure and flush all the deposits. The scale deposits act as an insulator preventing the heat exchanger to transfer the heat to water. Is venting system clean of the debris and does it provide enough fresh air for proper combustion? See if the electricity, gas, and water are turned ON and delivered to a tankless unit with no problems. Ensure the gas type and pressure are correct and the gas line is properly sized. Bleed all the air from the gas line. Check if the flame rod and wiring harness are operational, not loose, out of position or damaged. Does the gas control valve open at all or there is a short circuit? Is the vent system installed correctly and has a proper length? Is there an excessive condensation that can distinguish the flame? Is the flow rate over its recommended minimum? Ensure that the flow sensor is working properly. Check the fan for debris. Check if the burner is burning the gas with the clear, light blue flame. Leak in the sealed combustion results in an irregular gas combustion. Unstable burner flames due to the improper venting, lack of combustion air and gas pressure. Ensure that the water pressure from the utility company is OK. Ensure there are no obstructions in the plumbing, fixtures or water filter. The water draw is greater and many applications are running at the same time. With the lower gas pressure, the water heater will lower the water flow so it can meet the selected output temperature. Fluctuation in the plumbing system. Check if the gas line is sized properly and for the maximum BTU. Make sure there is no plumbing crossover, when cold water mixes with hot. Ensure that the length of the venting pipe is within the limits. Flow sensor might be damaged. Is the water filter on the cold water inlet clean and free of debris? Shut off the cold water to the heater. Open all the hot water taps. If after 10 minutes or so, the water flow is still present you have a problem with the crossover. Keep also in mind that some unusual activities are normal; such as when the fan motor is still spinning after the water heating operation stopped. In this case, the fan motor runs for some time to force the exhaust gases out through the vent system. Many tankless water heater problems are associated with the flow rate. For example; the water got cold during the shower because you have the reduced flow from the tap below the minimum. By keeping the flow rate above the minimum required, this and many other problems might be resolved. Another "unusual activity" can be a white smoke that comes out of the exhaust vent, and can be seen during the cold weather, when the exhaust temperature is much higher than the temperature of the air.